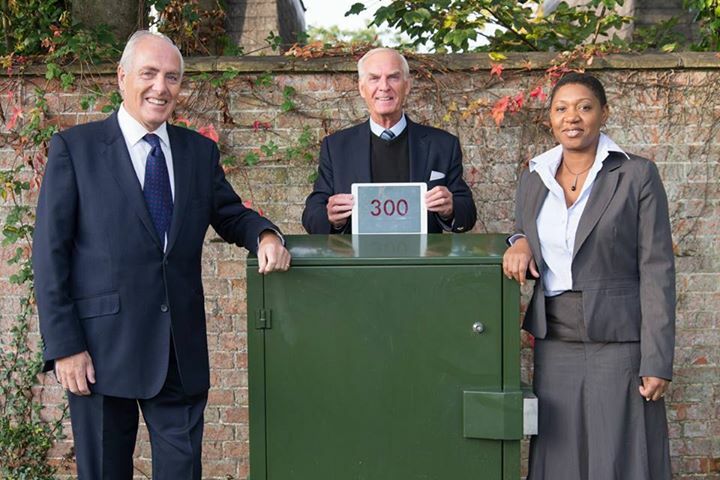 The Hampshire Superfast Broadband Programme has reached a major milestone with the 300th cabinet in Hampshire now enabled with superfast broadband. We have reached an additonal 72,000 Hampshire homes and businesses, which would not have been covered by the commerical market. These premises now have access to new fibre-optic technology providing faster broadband, with most of these premises able to access superfast broadband speeds – i.e. internet speeds greater than 24 Mbps. Leader of Hampshire County Council, Councillor Roy Perry marked this milestone at the 300th cabinet in Romsey with Councillor Mel Kendal, Executive Member for Capital Receipts, and Stacey King, BT’s regional partnership director for the South East. Councillor Perry said: “We continue to make strong and significant progress with our ambition to ensure people living and working in Hampshire can take full advantage of all the internet has to offer, but I will not be satisfied until we have 100 per cent of premises with access to faster internet speeds.